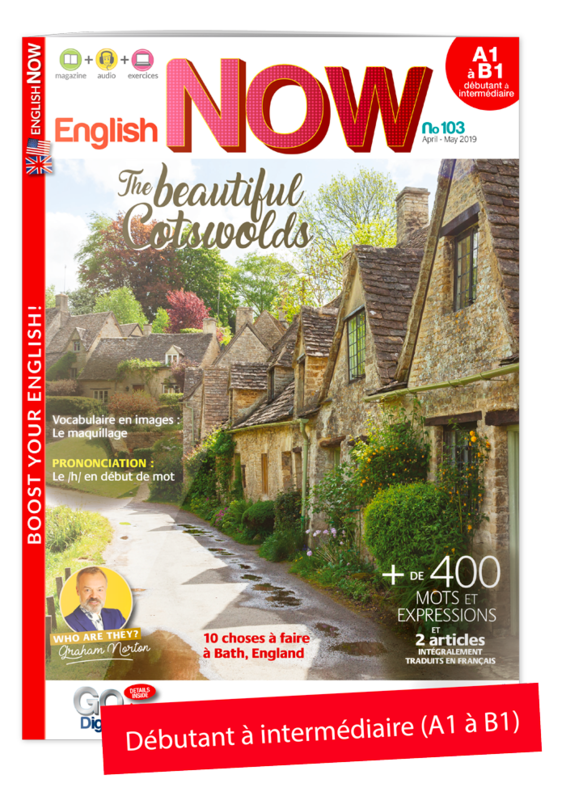 Regardless of your current level of English, our magazines will increase that level through articles about English-speaking culture (history, society, economics, news, interviews, literature, etc. ), but also through teaching linguistics itself (grammar, intonation, idiomatic expressions and practical conversations). 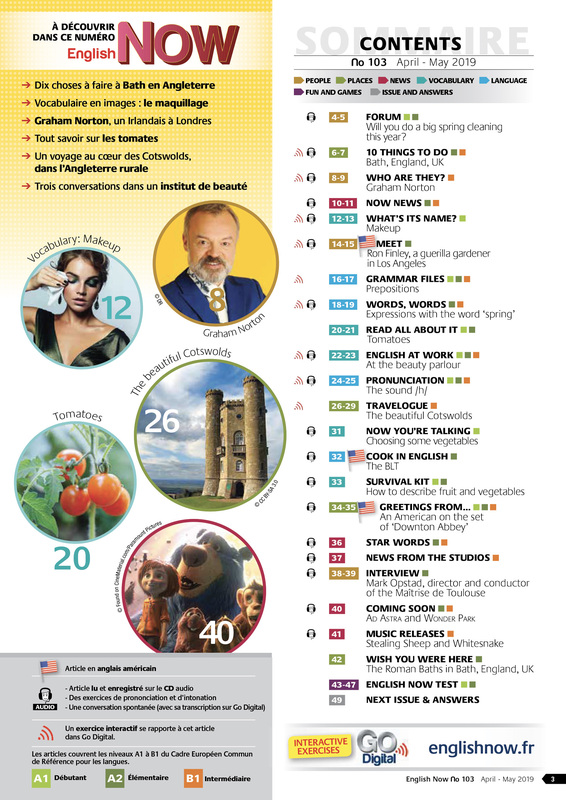 Discover a whole range of digital exercises, based on the content of the magazines, which will help you work on the four skills of language learning: oral comprehension - reading comprehension - written expression - oral expression. The exercises are sorted by level to allow you to track your progress. 20 audiobooks, each designed to focus on a precise topic. They will help you feel more comfortable while chatting with an English speaker and help you grasp the nuances of the anglophone culture. The language level increases gradually throughout the audio. Discover these novels and their audio version which will allow you to get used to the English language step by step, while reading a story filled with suspense! 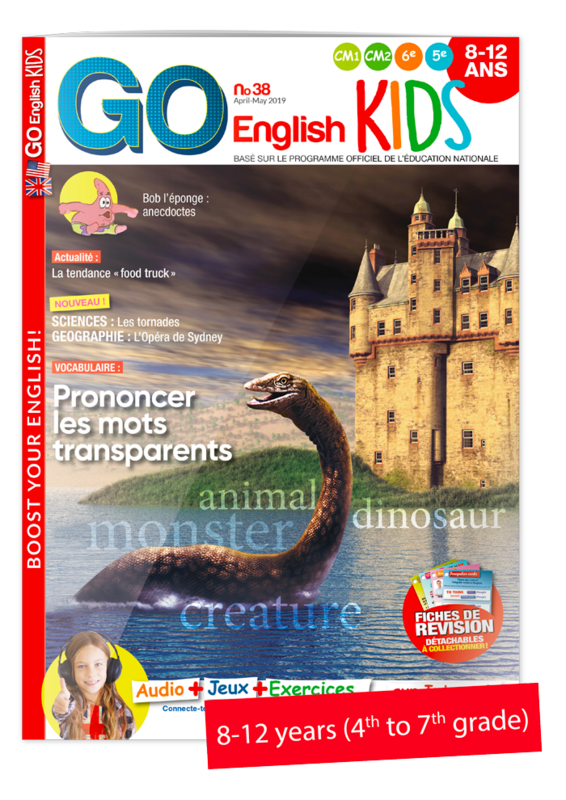 All of the grammar lessons from the Go English and English Now magazines brought together on a single platform! Are you interested in all things English: the countries, the language, the culture? Then follow our blog to discover a new article each week: recipes, travel ideas, news, culture and more! Four magazines written by English language specialists, for a culture-focused learning approach. 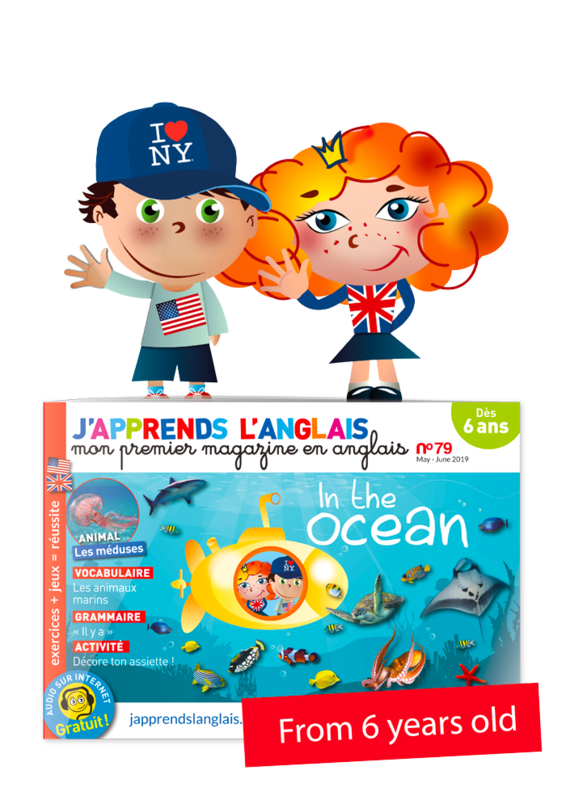 From beginner to advanced levels, you will be immersed in the anglophone world thanks to the variety of articles! The audio files are the essential addition to your magazines! You can choose between the audio CD or the audio download, both will help you get used to hearing informal English. You will also be able to practice your pronunciation thanks to the exercises included in the audio. From 6, kids will learn English while having fun! Additional tools to learn English? 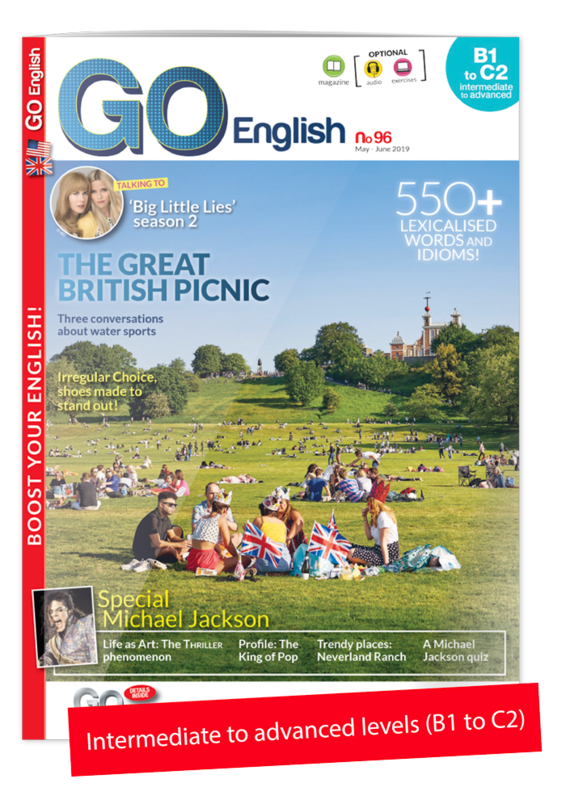 In addition to the magazines, 2 features to help you improve your English for free. Regardless of your current level in English, you will always need to come back to your grammar lessons. All of the grammar files from English Now et Go English are available here. 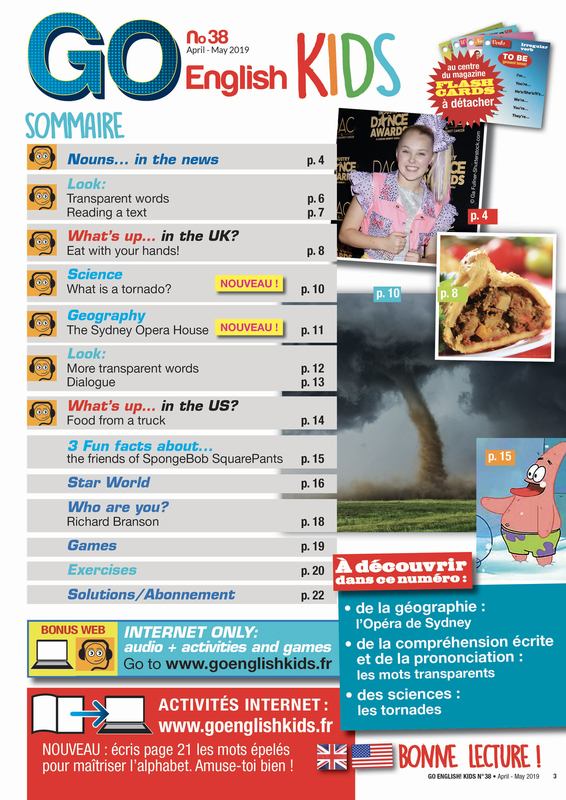 Every week, discover new information about the anglophone culture, in addition to the numerous articles from our magazines. Go Digital: what is it? The essential addition to your magazine! 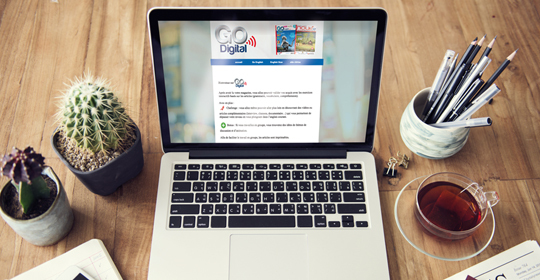 Click here to log in to your account and access Go Digital. Click here to subscribe to Go Digital. Enjoy our offer: a free 2 months access allowing you to try out the exercises. 20 audio books to focus on a precise topic. Each theme is predefined to match one or two language levels. The language level gradually intensifies as you listen to the audio CD. You will become more comfortable to talk with an English speaker in any given situation. Focus on an everyday life theme! 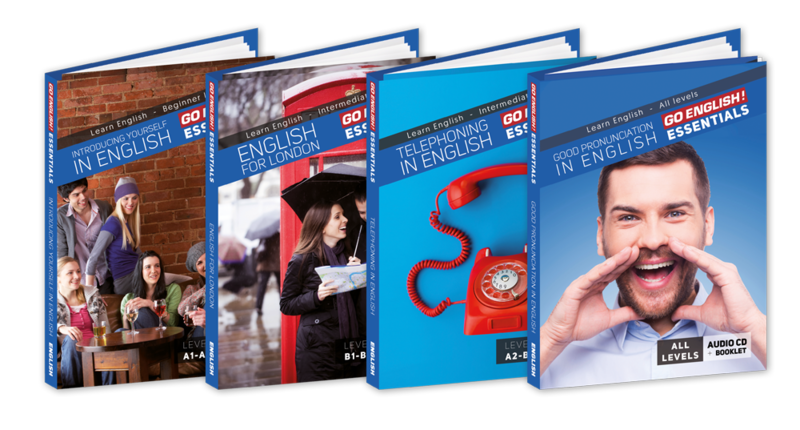 For each topic, the audio CD and its transcript booklet will help you improve your English. Repetition exercises will allow you to make progress quickly and effectively.